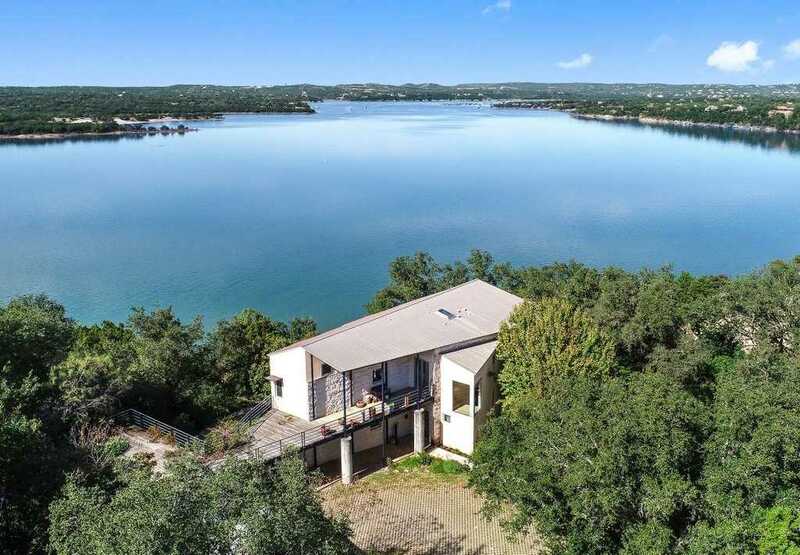 Rare opportunity for acreage on the South shore of Lake Travis. This secluded waterfront oasis has not been offered for sale in 39 years. Over 200 feet of deep water frontage looking across the lake’s main body to Arkansas Bend Park. Although the value is in the land itself, this Lawrence Speck designed Hill Country Modern home has earned awards for outstanding artistic qualities. Stone steps lead to the water. Boat dock allowed. Shops, restaurants, hospital, and recreation close by. Lake Travis Schools! Please, send me more information on this property: MLS# 9264944 – $1,800,000 – 3304 Ranch Road 620 N, Austin, TX 78734. I would like to schedule a private showing for this property: MLS# 9264944 – $1,800,000 – 3304 Ranch Road 620 N, Austin, TX 78734.